I love protein brownies, absolutely LOVE them. 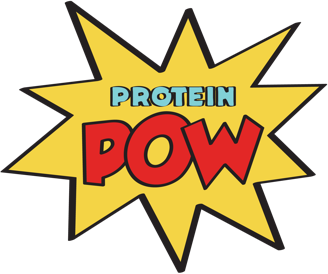 I’ve posted a lot of protein brownie recipes here at proteinpow.com and have even dedicated an entire chapter in the Pow cookbook, as well as a section of the Pow app, to brownies. What can I say? I’m a massive fan. Make them and you’ll know what I mean. They taste like regular brownies! But they’re actually good for you – PACKED with fiber. And vitamins, minerals, protein and antioxidants and oh, guys. I cannot WAIT for you to try them! They contain a very exciting ingredient that I’d like for you to pay extra attention to: BEAN FLUFF. Yeah. BEAN. FLUFF. Read the notes at the bottom of the post to learn exactly what this is and how to make it because it’ll revolutionise you’re brownie world! They also contain a powerhouse of an ingredient: BEANS. Beans are nutrition-dense, perfect for baking, and phenomenal when it comes to baking chocolatey things. Like brownies :-) Check out this post by Thrive Cuisine to learn more about beans and why they’re so amazing for you! Note: see my conversion sheet to convert the recipe below from cups to grams and vice versa! Here are a few more vegan brownie recipes too!